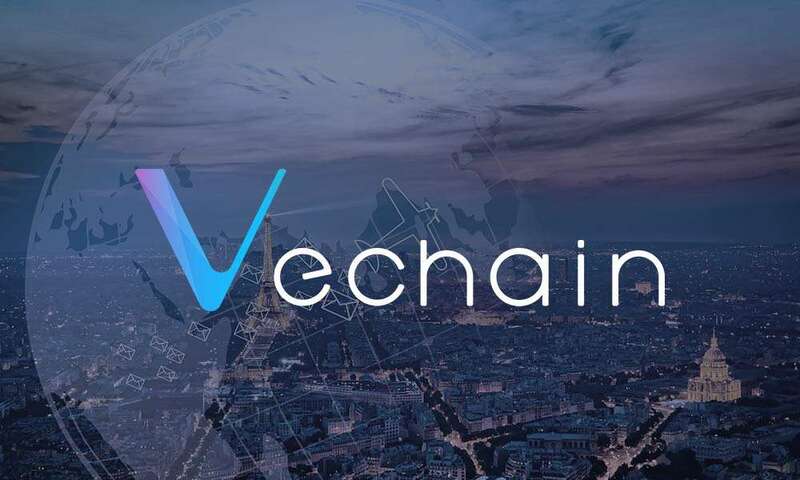 VeChain is an extremely interesting blockchain project that has been recommended everywhere. What exactly is Vechain? How does it work and why is it so interesting? We will explain everything about Vechain. Vechain is a platform that is designed to enhance supply chain management processes. VeChain provides retailers and consumers with the ability to determine the quality and authenticity of products that are bought. The most important factor is confirming the authenticity of (mainly) luxurious products and also giving all kinds of background information about the product. This is done with the aid of the Vechain Smart Chip, a kind of NFC chip in the product you buy. Think for example of fake Ray-Ban sunglasses, it is often very difficult to see if this is a real or a counterfeit if you are not an expert. With VeChain you could scan the glasses and immediately see if they really come from Ray-Ban or not. Furthermore, you could the check the builder, the material, the origin of those materials or the age of the product. Fake products, one of the biggest problems currently when it comes to luxury products. If VeChain actually succeeds in ensuring that a consumer can see whether a product is authentic or not, then this is a very interesting project. VeChain has already entered into various partnerships with luxury brands and the CEO of VeChain, Sunny Lu, is the former CIO of Louis Vuitton in China. Confirming the authenticity of products is not the only thing. For example, VeChain can also give products an ID. For example, a car can be identified on the basis of this ID, this digital profile then contains all the data about the car. From when it was last tinkled to how many kilometers it has driven already. This information can then be passed on to authorities such as insurance in a simple way. VeChain already has a working product at the moment, as can be seen in this video by Price Waterhouse Coopers. VeChain will soon change the name into Vechain Thor. This will happen at a special rebranding event in Singapore on February 26, 2018. The name change should actually be completed in mid-January, but this has been delayed. You can read the full official announcement here. Technology partner/NFC/RFID solutions: Jiangsu Printed electronics– Who are they? Vechain is offering companies the solution they have been looking for, for ages. Imagine huge brands like Givenchy, Louis vuitton and Gucci not having to worry about counterfeit products anymore because each and every product can be checked with Vechain to see if it is authentic or not. This is a huge game changer for the luxury brands industry. Looking at Vechains team we can easily say they are in the top 3 of best teams in crypto. Their CIO has led a company that has dealt with the exact problems that Vechain is addressing. Vechain has secured some of the strongest business relationships and deals in this crypto space. They have delivered every step of the way thus far. Looking at the facts mentioned above we can conclude that Vechain has a huge potential to make it amongst the big boys in the crypto space.